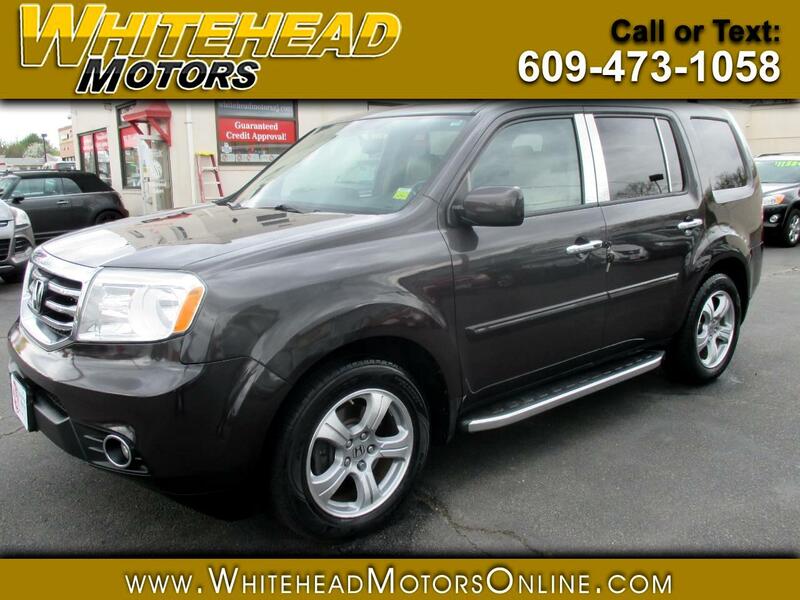 Our great looking One Owner, Accident Free 2013 Honda Pilot EX-L 4WD is handsome in Dark Amber Metallic! Powered by a proven 3.5 Liter V6 that offers 250hp while tied to a smooth-shifting 5 Speed Automatic transmission for amazing acceleration. This Four Wheel Drive Pilot will reward you with nearly 25mpg on the open road and you'll be smitten with this fantastic solution to your family's transportation needs! The EX-L exterior is sporty, yet conservative with fog lamps, running boards, roof rails, chrome accents, trailer hitch receiver, a large sunroof, and eye-catching wheels. Designed with your active lifestyle in mind, the interior of the Pilot EX-L is family-friendly and luxurious. All of the technology communicates with an 8-inch display that serves as your personal command center to customize your driving experience. You'll love the luxury of heated leather front seats, tri-zone climate control, and the leather-wrapped steering wheel with mounted controls. Able to comfortably accommodate adults, as well as children, the roomy second and third-row seats, allow a 60/40 split for maximum cargo space. The second row has a latch system that can accommodate three car-seats as well. Now that's a family-mobile! Not only is the Honda Pilot versatile and efficient, but it also demonstrates a commitment to safety in its construction with advanced compatibility engineering body structure, anti-lock brakes, stability control, front-seat side airbags, and full-length side curtain airbags. This is an outstanding choice! Print this page and call us Now. We Know You Will Enjoy Your Test Drive Towards Ownership! Get Approved In Minutes at Whitehead Motors. We Make Car Buying Easy.